So far in this series on tone and color correction in Photoshop, we've looked at the three most basic and fully-automatic image adjustments, Auto Tone, Auto Contrast and Auto Color. We then took things up a notch by learning how to improve the overall brightness and contrast of an image with the aptly-named Brightness/Contrast command, and we learned how to restore hidden detail in photos that suffer from too much contrast using a Shadows/Highlights adjustment. While each of these image adjustments has its place, one downside they all share is that they lack the sort of precise control we need for professional-level image correction. Sure, Brightness/Contrast and Shadows/Highlights are powerful, and even Auto Tone, Auto Contrast and Auto Color can produce great results with the right images. But the truth is, there's nothing we can achieve with any of those adjustments that we couldn't achieve on our own with even better, more professional tools. We've already taken our first step towards professional-level image correction by learning how to read and understand image histograms, and I highly recommend you read through that tutorial before you continue. Histograms show us where the current tonal range of our image falls between pure black and pure white, making it easy to spot potential problems such as poor overall contrast or shadow and highlight clipping. In this tutorial, we'll take what we've learned about histograms and see how to easily improve the tonal range of an image using a Levels adjustment in Photoshop! 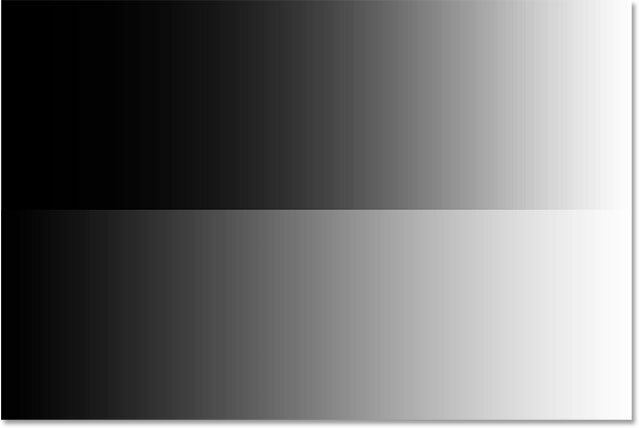 To get a good sense of how the Levels adjustment works, rather than jumping in and correcting an actual image, let's start with something more simple; we'll "correct" a black-to-white gradient. I know, it sounds crazy, but the gradient will make it easy for us to see what's happening as we make adjustments in the Levels dialog box. Once we've covered the details of how Levels works, we'll look at a real world example of how Levels can be used to quickly improve contrast and restore shadow and highlight detail in a photograph. A black-to-white gradient that needs some help. There's a few different ways that we can apply Levels to an image. The simplest, and the way we'll be using here, is to apply Levels as a static adjustment; that is, applying it directly to the layer itself. Another way we can apply Levels is as an adjustment layer which has the advantages of being both fully-editable and non-destructive. And, new in Photoshop CC 2015, we can now apply Levels (and any of Photoshop's other image adjustments) as an editable Smart Filter! We'll learn how to apply Levels as an adjustment layer and a Smart Filter in the next tutorials. For now, our focus is on how Levels works, so we'll keep things simple and apply it as a normal, static adjustment. Going to Layer > New> Layer Via Copy. The Layers panel showing the copy above the original Background layer. Giving layers more descriptive names is a good habit to get into. Just to quickly recap, the histogram is the black graph that looks like a mountain range in the center of the dialog box, and it's showing us where and how the current tonal range of the image (in my case, the gradient) is distributed between black and white. If you look below the histogram, you'll see a black-to-white gradient bar. This bar shows us the complete range of possible brightness (tonal) values that the image can contain, from black on the far left to right on the far right. There's 256 possible brightness values in total, including black and white (with 254 levels in between). 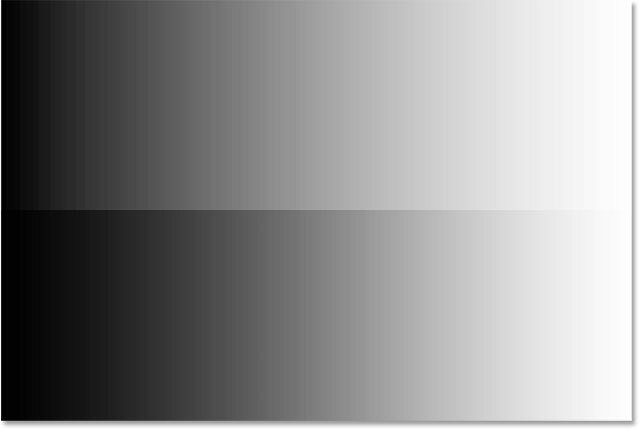 Where the histogram appears directly above a brightness level in the gradient bar below it, it means we have pixels in the image at that exact brightness level. Our eyes see differences between brightness levels as detail in the image, so in general, the more brightness levels we have, the more detailed the image appears. Histograms don't represent the actual number of pixels in the image (since most images these days contain millions of pixels, which would make the histogram too large to fit on the screen). Instead, they simply give us a general overview of how many pixels in the image are at a certain brightness level in comparison with other brightness levels. The higher the histogram appears at a certain level, the greater the number of pixels we have at that brightness level. If no part of the histogram appears at a certain brightness level, it means we currently have no pixels in the image at that level. Let's take a closer look at what my histogram is telling us about the gradient. In a "typical" photo, what we'd usually like to see is a histogram that stretches all the way from pure black on the far left to pure white on the far right. That's usually a sign that the image was well-exposed with lots of detail across the entire tonal range (shadows, midtones and highlights). Now, that's not always the case, as we learned when we looked at examples of low-key and high-key images, but it's still a useful, general guideline. 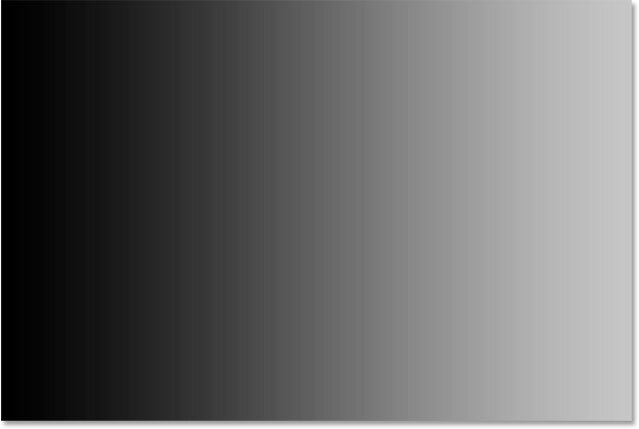 The left side of the histogram starts at a lighter (than black) shade of gray. 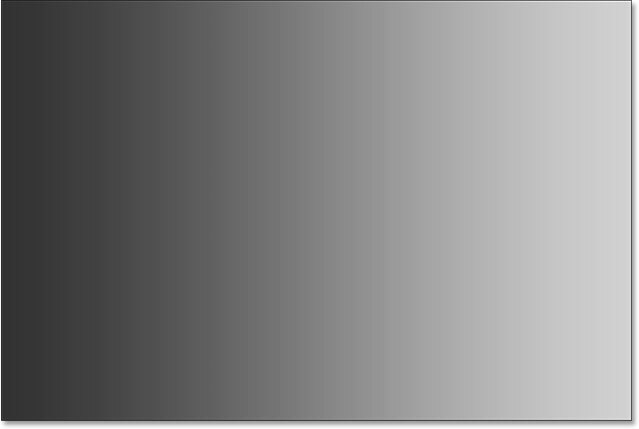 The right side of the histogram starts at a darker (than white) shade of gray. The shadows need to be darker and the highlights need to be lighter. Levels to the rescue! The black point (left), white point (right) and gamma, or midtone, slider (middle). The gap to the left of the histogram means we're missing shadow detail. Dragging the black point slider to the left edge of the histogram. The black point has been increased from 0 (the default) to brightness level 50. After setting the new black point, the left side of the gradient is now as dark as it should be. The gap to the right of the histogram means we're missing highlight detail. The white point has been lowered from 255 (the default) to brightness level 210. After setting the new white point, the right side of the gradient is now white. You'll often find that once you've set your new black and white points, the image now looks either too dark or too light and washed out. That's because adjusting the black and white points usually affects the midtones in the image as well. To fix that, all we need to do is drag the midtone slider (the gray slider in the middle, also known as the gamma slider). In the case of my gradient, we're not really seeing a problem with the midtones, but we can still use it to help us get a sense of what effect the midtone slider has on an image. The midtone slider is just as easy to use as the other two sliders, but it works a bit differently. It also behaves opposite to what you might expect which can lead to some confusion. Unlike the black point and white point sliders which allow us to set specific tonal values for the new black and white points (in my case, I set my black point to level 50 and my white point to level 210), the midtone slider does not work with actual tonal values. This is the main reason why many Photoshop users are confused by it. Let's take a closer look. The box directly below the midtone slider represents its current value. Notice that its default value is 1.00. Right away, something seems different here. I mean, what's with the decimal? The other two values don't have decimals. How can a brightness value have a decimal? The midtone slider with its odd default value of 1.00. Also, if there's 256 possible brightness values in a histogram, with black at 0 on one end and white at 255 on the other, how does it make sense that the midtone value (that is, the value directly between black and white) would be 1.00? Shouldn't it be something closer to 128? The answer is yes, it should be something closer to 128, if the number represented an actual tonal value. But it doesn't. The number in the box is actually an exponent (think math, as in "2 to the power of 8"). And rather than setting a specific tonal value like we did with the black point and white point, dragging the midtone slider adjusts what's known as the gamma curve (which is why the technical name for the midtone slider is the gamma slider). Don't worry, there's no need for us to dust off our math books or get into a detailed explanation of gamma curves. You don't need to know anything technical to use Levels. All we really need to know to avoid confusion is that the number in the midtone box does not represent an actual brightness level. So if it's not a brightness level, how do we use it? The simplest way to think of the midtone value is that, at its default of 1.00, we're not making any changes at all to the midtone brightness. Any value above 1.00 will increase the brightness of the midtones. The higher the value, the brighter they'll appear. Any value below 1.00 will darken the midtones. The lower the value, the darker they'll appear. One important note is that the midtone slider has no effect on the black point and white point. It only affects the brightness of the tones in between. Increasing the midtone value by dragging the slider towards the left. A before (bottom) and after (top) comparison of the midtones after dragging the slider towards the left. I mentioned earlier that the midtone slider behaves opposite to what you might expect. You may think that dragging the midtone slider towards the left, which moves it closer to black, would darken the midtones. After all, we don't normally think of black when trying to lighten something. But, as we've just seen, it does the opposite. Dragging the midtone slider towards black increases the midtone value, and increasing the midtone value causes the midtones to become brighter, not darker. Decreasing the midtone value by dragging the slider towards the right. The midtones now appear darker (top) than they were originally (bottom) after dragging the slider to the right. 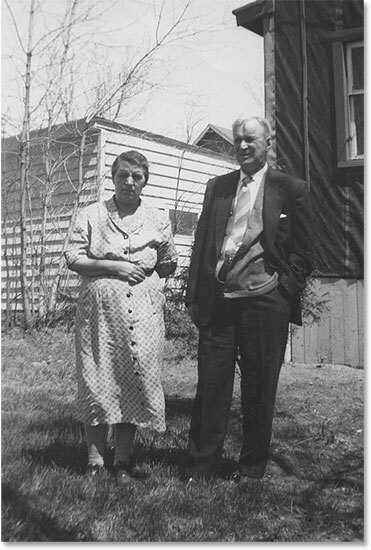 An old photo scanned into Photoshop. The photo on the Background layer. A copy of the image appears above the original. Renaming the new layer "Levels". The Levels dialog box once again. The histogram shows us we're missing shadow and highlight detail in the image. The photo after correcting the shadows. The photo after correcting the shadows and the highlights. We've adjusted the black point and the white point, but now the image is looking too dark overall. To fix that, all we need to do is lighten the midtones, and I can do that by clicking on the midtone slider and dragging it towards the left. Small increases or decreases in the midtone value can make a big difference, so in most cases, you won't need to drag the slider very far. Here, I've increased the midtone value from it's default of 1.00 to a slightly higher value of 1.15 (remember, values higher than 1.00 lighten the midtones and values lower than 1.00 darken them). Dragging the midtone slider to the left to the lighten the midtones. The Preview option in the Levels dialog box. Press and hold Alt (Win) / Option (Mac) to change Cancel to Reset. Clicking OK to apply my settings to the layer. Clicking the visibility icon for the Levels layer. And there we have it! In this tutorial, we covered the basics of how Photoshop's Levels adjustment works and how to apply it as a static adjustment to correct overall tonal problems in the shadows, highlights and midtones of an image. Yet there's still more to learn! In the next tutorials, we'll explore the Auto button in Levels, the black point, white point and gray point eyedroppers, the important difference between the Input and Output sliders, and more! Plus, we'll learn how to apply Levels not as a static adjustment but as an editable, non-destructive adjustment layer, and (new in Photoshop CC 2015) how to apply it as an editable Smart Filter!